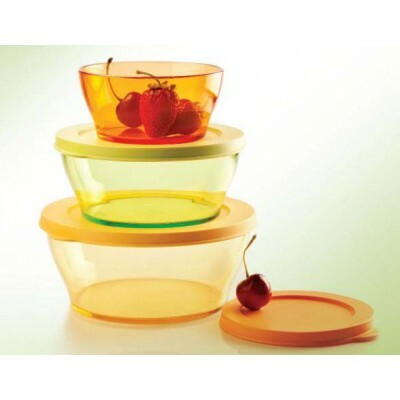 These bowls are clear and glass like but virtually unbreakable as these are made up of polycarbonate. Come in three convenient sizes. Microwave friendly (only for reheating) but without seal. 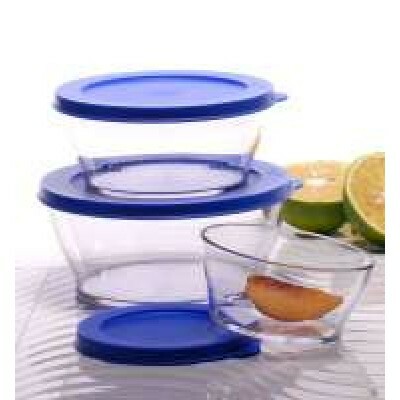 Clear containers allows for easy check of contents at a glance. Easy to store as all containers and seals nest snugly into each other.